When will be The Royal Variety Performance next episode air date? Is The Royal Variety Performance renewed or cancelled? Where to countdown The Royal Variety Performance air dates? Is The Royal Variety Performance worth watching? The show promises to be an unforgettable evening of the best UK and international musical performers, extraordinary theatre, and brilliant comedy as well as a number of sensational surprises.The event is staged in aid of the Royal Variety Charity (formerly the Entertainment Artistes' Benevolent Fund), whose patron is Her Majesty The Queen. The money raised from the show helps those people from the world of entertainment in need of care and assistance.The star studded spectacular will take place on Tuesday 6th December and will be screened on ITV in December. It will be produced by ITV Studios. Comedian, actor and children's author David Walliams is to host The Royal Variety Performance 2016 in the presence of Their Royal Highnesses The Prince Of Wales and The Duchess of Cornwall, from one of the most iconic and well loved live venues in the UK, the Eventim Apollo in Hammersmith. David will introduce the legendary Barry Gibb and Sting, superstars Gary Barlow and Robbie Williams, the award winning Sheridan Smith and Emeli Sandé, plus this years magical Britain's Got Talent winner Lance Corporal Richard Jones. The cast of The Beatles Cirque Du Soleil's LOVE show will be flying in from Las Vegas for a special anniversary performance, there will also be sneak previews from the casts of Gershwin's classic musical An American In Paris and Gary Barlow's The Girls which both open in the West End early next year. Diversity return to the stage where they first auditioned for BGT and there is comedy from Joe Lycett, Alan Davies and Rob Beckett. More show-stopping numbers are provided by Amber Riley star of the Tony Awards winning musical Dreamgirls, One Republic, DNCE, ABC and McFly's Tom Fletcher who will be premiering his new book The Christmasaurus with an enchanting one off performance. Hosted by Miranda Hart, an unforgettable evening of the best UK and international musical performers, extraordinary theatre and brilliant comedy as well as a number of surprises along the away. Greg Davies hosts the Royal Variety Performance in the presence of members of the Royal family at the London Palladium. This year's event features performances by Take That, the cast of West End musical Hamilton, George Ezra, Clean Bandit, Andrea and Matteo Boccelli, Lost Voice Guy, Rick Astley, Rhod Gilbert, and many more. 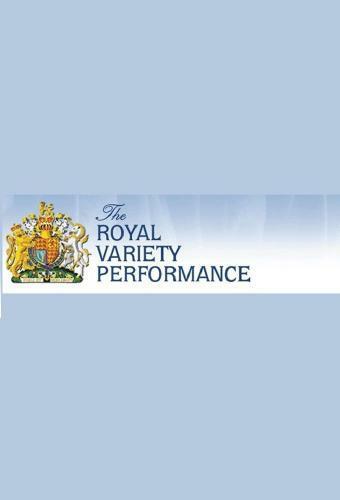 The Royal Variety Performance next episode air date provides TVMaze for you. EpisoDate.com is your TV show guide to Countdown The Royal Variety Performance Episode Air Dates and to stay in touch with The Royal Variety Performance next episode Air Date and your others favorite TV Shows. Add the shows you like to a "Watchlist" and let the site take it from there.